Once or twice a year, someone will ask why I’m so fascinated with perfume — or, more bluntly, why I’m willing to pay more than $100 for a bottle. I have an answer ready: It’s a piece of art that you get to carry with you all day instead of leaving on/above the mantle. 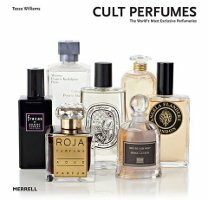 When I mentioned to a friend and colleague that I was reading Cult Perfumes: The World’s Most Exclusive Perfumeries, she thought it a pity that the book isn’t a scratch-and-sniff (or, more practicably, accompanied by a set of sample vials). If you’ve ever smelled a Lush store from a mile away, you can see the quirky appeal: the atmosphere within — or roiling out of — a fragrance shop is quite telling. …I easily imagine this perfume floating in the wake of a tall, slender brunette, whose moves are confident, who voice is accustomed to giving orders, and who fingers are slightly darkened by tobacco. She is one of those women who always wears a suit, even at midnight at the Savoy; one of those women captivating to watch at the casino in Monaco, who after having lost a sum of money, takes bills and a money order from a love letter hidden in her fine leather handbag, where they have taken on a pungent, slightly wild odor, and with great calm throws them on the green baize of the gaming table. Think of a perfume that has a way of wearing you, instead of the other way around. Now imagine if one day that scent began to emanate from your pores, and had the power to seduce everyone around you. 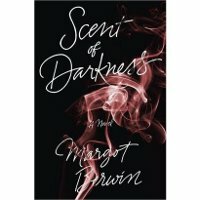 That’s what befalls the heroine of Margot Berwin’s Scent of Darkness, a contemporary fairytale that takes fragrance out of the lab and into the realm of Louisiana folk magic.